so show yours would be good to see what other people are doing and what they have done to there's. Here are a couple of pics of my frontera. very nice frontera loppa would be good to see it in action. not many people seem to be replying but still good to see someone is. 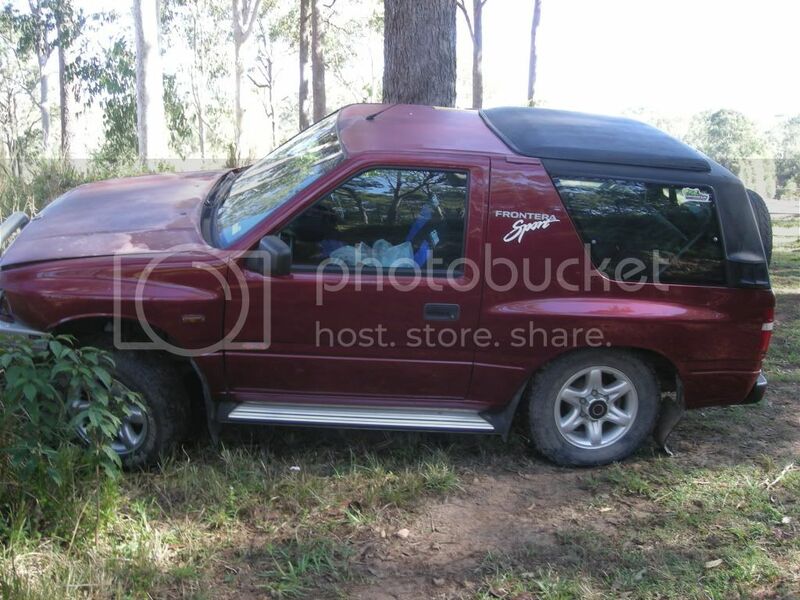 Yeah not to many people drive the little frontera, but they turn some heads in the bush. i heard storys that they do. i'll have to test that when i get mine on the road. 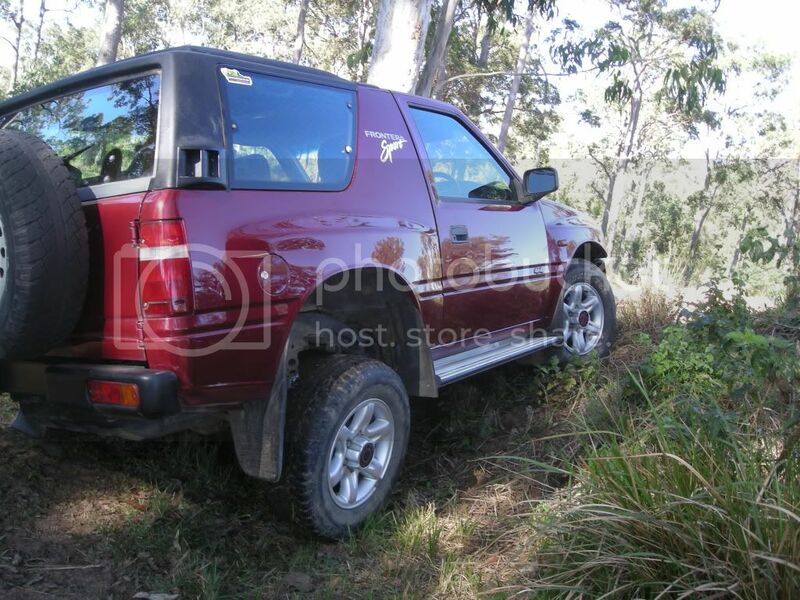 Yeah there not to bad i have a couple of mates that hate it when i can follow them in there patrols and hiluxs. But then again my fronty is on almost on 34's so its not that small. modified trailing arms for more flex, and soon to be twin locked. totally stock. got better pix on my other computer, might put some up another time but this is all I have atm. nice mate got many plans for the frontera? i like the bar looks the part with those spotties there. hi doowrag hope the family has fun in it then. wheres those other pics you were talking about? and loppa do you have any flex shots yet? need something to compare to and get a better idea of what i want to do and hopefully it will inspire others. 98fronty wrote: hi doowrag hope the family has fun in it then. wheres those other pics you were talking about? and loppa do you have any flex shots yet? need something to compare to and get a better idea of what i want to do and hopefully it will inspire others.